DS Letter to PM on UK Defence. You have called for a justification that the United Kingdom (UK) government considers, and should continue to consider herself a “Tier 1” state. This definition is unusual and debatable so, we in DefenceSynergia (DS) prefer the terms used by European Geostrategy: Super Power, Global Power, Regional Power and Local Power with the UK being the only Global Power behind the United States of America’s (USA) Super Power status. We justify this since our national strategy has been and should remain maritime and deployable worldwide. Too many siren voices seem to imply that a continental strategy should be pursued but our history in conflicts, those that might be described under the continental strategy heading, have been glorious but not generally in the lead to ultimate victory. In this short letter, DS refers to the Modernising Defence Programme (MDP) which is raising a number of thorny issues that do, and often seek to, complicate a comparatively simple way forward so that that you and your government make the correct decisions to ensure fulfilment of your primary responsibility – to guarantee a proper defence of the realm. That should be your beacon and, in getting there, we advise that the most important goal to achieve is coherent and effective operational capability (OC) driven by a clearly articulated Grand Strategy (GS). You might put to one side the complacent arguments of “achieving 2% of GDP”, “punching above our weight” etc. and ask the question about just what and how our armed forces can achieve in times of conflict. Budgetary considerations are in the mix but, since 1998, have been, pretty much, the sole criterion in establishing our Order of Battle (OOB). UK Armed Forces are configured the way we see them today partly as a function of waning legacy systems but also in response to past Strategic Defence and Security Reviews (SDR/SDSR) – SDR 98, SDSR 2010 and more recently SDSR 2015. The OOB for all 3 services is, supposedly, a function of Government Policy – its aims and aspirations – as articulated in the National Security Strategy (NSS) and SDSR 2015, driven by a dynamic threat analysis yet, as has been the case, overly incoherently fashioned and truncated by the funding provided by Her Majesty’s Government (HMG). Successive SDSRs have been conducted in this vein and, thus, have contributed to a defence posture which is studded with glaring operational capability and capacity gaps that need resolving and plugging. Above all, there exists a very serious lack of national strategy that, were it to be established, might allow coherence across government departments. DS have culled some persuasive considerations of our own and important others and set them down below. roles to the point of extinction once the aircraft carriers have demanded these other ships and submarines for their protection in the CEPP role. At the same time, many of the highly skilled personnel necessary to operate the fleet have been taken as savings measures and so, the morale of those remaining is being severely tested. The Army maintains many core war fighting capabilities but finds difficulty in sustaining them in the face of reduced trained full time numbers leading to overstretch and, in many cases, negative attitudes that affect morale, retention and More importantly, the Army’s ability to deploy, particularly in a North Atlantic Treaty Organisation (NATO) context, is severely constrained by a lack of logistics “enablers”. DS is far from convinced that the Royal Air Force (RAF) has the correct “mix” of aircraft that it should have to fulfil her commitments; presently, great emphasis is being placed on the acquisition of the F35B, Short Take off and Vertical Landing (STOVL) fighter which is trumpeted as being a fifth generation aircraft, operationally well ahead of the opposition. The truth is that the RAF would be far better equipped with the F35A for the necessary land based operations; however, the F35B is, apparently, now committed to in spite of its price (about twice that of the Super Hornet that is so effective in the United States Navy) and known operational shortcomings. Whilst the P-8A Poseidon maritime aircraft are, thankfully, in the acquisition programme, it will be vital to continue with them for proper coherence between air and sea assets. So, extra expenditure is now vital to fill the identified operational capability gaps to allow the already committed assets to operate effectively in accordance with your Government’s Strategic direction: cyber certainly, escorts, anti-missile defence, replenishment ships and submarines to maintain and protect the carriers, enablers to make our troops far more flexible, retention and protection of the deterrent as the ultimate evidence of our intent to try and keep the world at peace. The 2020s is set to be a difficult decade for British security and Brexit doubles down on both the risks and the opportunities. We are living in an increasingly dangerous neighbourhood in Europe, the North Atlantic, the Mediterranean and across the Middle East. British security chiefs face a wider spectrum of challenges than ever before, from cyber threats and organised crime to terrorism, instability and outright war. Hostile states now behave like non-state actors, and vice versa. The MDP should be about harnessing all we have to offer as a nation and the spirit of our times to tackle the continuing and emerging challenges. That is why the Public’s view and understanding of the strategy and execution of our diplomacy, our development assistance and our defence of this nation is critical. Their perception, interest in, support and commitment are vital to its delivery. In spite of, and probably because of the hiatus amongst leaders across the globe the world needs leadership from great nations like the UK with its historic values. Her Majesty’s Armed Forces can still be the prototype others seek to emulate and be their defence partner of choice. That’s what our nation has been in the past: a protector, a wealth bringer, a problem solver, a life-saver, a peace broker and an essential arm of Foreign Policy. It is clear that we have limited means but, we must do the most good with the money that we have and this includes a serious reconsideration of effective “aid” spending in the security and defence context. of 2.1 per cent of GDP but, as DS has repeatedly said: more money and rises in %’s of GDP are useless without radical reform; the need now is for much more focused and smarter acquisition and to refine the overall OC of all three services making them work to a strategic vision rather than pursuing their own “pet” projects. As Professor Michael Clarke has written: ‘When Theresa May reportedly challenged the Ministry of Defence to justify why Britain should pay the price to remain a “tier one military power”, she was right to ask, both to puncture the complacency of the defence establishment and to cut through the lazy response of past defence ministers that the armed forces would all be world class and fine by 2020, then by 2025 and now, perhaps, by 2028 or 2030. You have challenged the armed forces to be clearer about what they are trying to achieve, beyond being very good at what they do.’ They can only strive to achieve that which your government asks them to do; that has been set out in successive SDSRs albeit without the means to do so coherently. Now is the time to set out your GS, endorse a coherent MDP and pay the price of so doing. In this context you will be aware that if spending were lifted even to 3 per cent of GDP, worth about £16 billion a year extra on top of the £37 billion in the present defence budget, between a third and two thirds of that would disappear immediately in making up shortfalls and reversing the hollowing out of capabilities that occurred after 2010. Put another way, defence must be increased to about 2.5 per cent of GDP just to stand still. Nevertheless, more money should not be pushed into a defence establishment still in need of radical reform without remedial action to mend a broken system that spends over £15 billion a year. So, the answer to your very fair question is clear: we should pay that price. 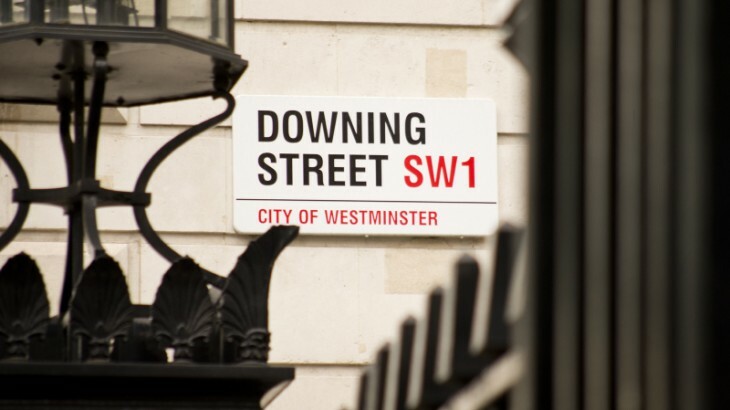 You were a government minister in 2010 and have been Prime Minister (PM) since 2016; do you agree with DS that HMG must articulate its Grand Strategy in a single short document as the highest level of policy for all Departments of State to adhere to? Do you agree that the United Kingdom (UK) must remain a Permanent Member of the (UNSC), a senior member of North Atlantic Treaty Organisation (NATO), show active leadership in the Five Eyes Treaty, continue to be a Nuclear Power with special status access to United States of America technology and maintain a world wide conventional military reach to protect the UK’s Overseas Territories (OT), thus projecting influence and power and operating with allies as declared in the NSS and SDSR 2015? If so, then you agree with the National Security Strategy (NSS) and National Threat Assessments, documents produced whilst you have been Prime Minister and SDSR 2015, which define for the Secretary of State for Defence and CDS the level of Armed Forces that the UK requires – the answer to your ‘what, when and where’ questions. “How?” now rests with you, Prime Minister – we suggest, respectfully. Thank you for your recent letter to the Prime Minister, setting out your concerns on the financing of Defence and what our armed forces can achieve in times of conflict. I have sought to address these below, but have also passed your letter to the Ministry of Defence (MOD) to help inform their thinking for phase two of the Modernising Defence Programme (MDP). You rightly articulate the need for a “Grand Strategy” to guide the Government’s first priority of protecting our national security and the safety of British people both at home and abroad, and that is exactly what the National Security Strategy (NSS) and Strategic Defence and Security Review (SDSR) 2015 does. Indeed the 2015 NSS and SDSR sets out the vision and three National Security Objectives: Protect Our People; Project Our Global Influence; and Promote Our Prosperity that would echo your final points. Last year, the National Security Council recognised that since 2015, the security challenges that the United Kingdom faces have become more complex and intertwined as the world has become more uncertain and volatile. They commissioned the National Security and Capability Review (NSCR), published in March this year. The NSCR concluded that while the framework of the NSS and SDSR remain right, we could further develop, deliver and deploy our considerable national security capabilities to maximum collective effect. This included a decision to commission the MDP to ensure our defence capabilities meet the changing threats that we face. This new approach, based on the Fusion Doctrine (set out in the NSCR), will improve our collective approach to national security, building on the creation of the National Security Council eight years ago. policy approaches and identify investment priorities, as well as developing a new blueprint for a major programme of top-down transformative reform. Defence needs to play a major and increasing role in supporting an integrated, cross-Government approach to national security through the practical application of the Fusion doctrine, where the total is more than the sum of the parts. The United Kingdom retains a unique panoply of both hard and soft power and will continue to meet our commitments to our partners and maintain a full spectrum of nuclear, conventional and cyber capabilities to match our leading role on the world stage.